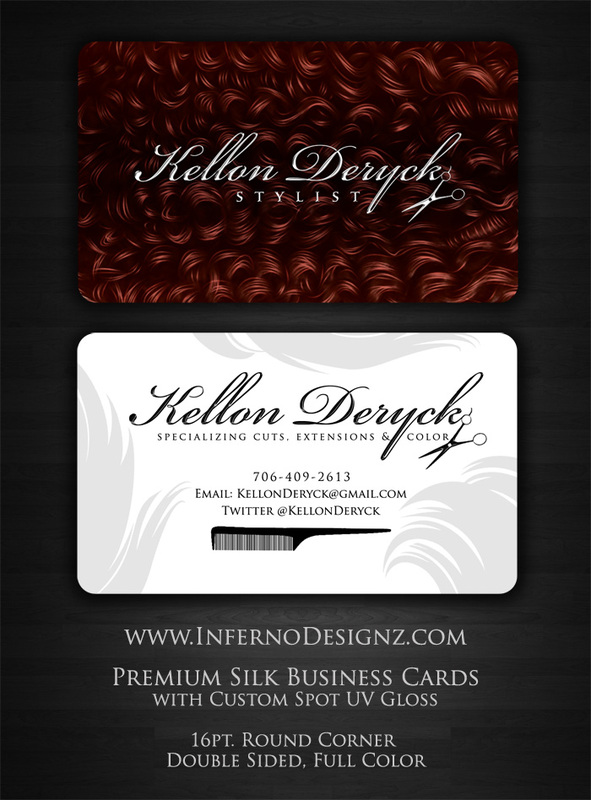 Kellon Deryck requested a custom Business Card, simple but complex. Our Premium Silk Cards were perfect for the job, with a custom Spot UV and a smooth silk card stock with rounded corners. If you need someone that Specializing in cuts, Extensions and Color, Mr. Deryck the man to call.